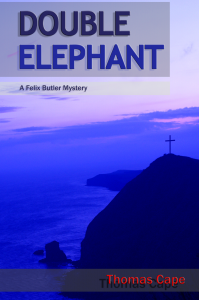 My debut novel Double Elephant is now on sale! You can buy it from Amazon in either paperback or Kindle format! With those words echoing in his ears, troubled cub reporter Felix Butler embarks on a mission to finish off a dead journalist’s final story—a story the editor was too scared to touch. Taken from his cosy life writing “feel-good hogwash” for the South Devon Post, he is thrust into a murky world of lies and deceit and embarks on a trail that stretches from the cliffs of South Devon via the sands of Arabia to the media circus of London. Joined by a mysterious girl from Lebanon and haunted by demons from his past, Butler must revisit his painful childhood if he is to get to the truth. Meanwhile, Machiavellian forces are at work, and a lone henchman stalks his prey. If you enjoy it, please leave a review!